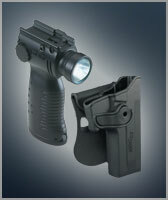 The NRA Personal Protection OUTSIDE the Home (PP2) is the next level up from NRA Personal Protection INSIDE the Home. The primary focus of this course is the effective use of a concealed handgun for self defense on the street. Included are chapters on concealment techniques and devices, presenting the handgun from concealment, utilizing cover and concealment outdoors. This innovative course includes presentation and movement, point shooting, instinctive shooting, low-light shooting, engaging multiple targets and one-hand shooting. These skills and others presented in this course form the core shooting skills used to counter a life-threatening attack outside the home. This is an intermediate/advanced handgun course. If you would like to schedule a Personal Protection Outside The Home course which is not on the current calendar, send an email or call Best Handgun Training at (916) 295-8489. This Basic Course of Personal Protection Outside The Home course is approximately 9 hours long. The NRA Personal Protection Inside the Home course must be completed prior to taking a course of Personal Protection Outside The Home. The NRA Personal Protection Outside The Home Course introduces students to the knowledge, skills and attitude involved in safely, responsibly and effectively employing a concealed pistol for self defense. This is an intensive course, as the student must learn and practice many diverse shooting skills in order to respond quickly and appropriately to the broad range of threats he or she may encounter outside the home. Similarly, the student must also learn and understand the unique safety and legal issues that apply when a concealed pistol is carried in public. The course covers the legal ramifications of concealed carry, including who can legally carry a pistol, when concealed carry is and is not permitted, the legal and ethical ramifications when responding when responding to a life-threatening encounter using a concealed pistol, and the legal, moral, emotional, and social aftermath of the use of deadly force outside the home. The cost of this Basic Personal Protection Outside The Home course is $300.00 per person and includes lesson materials and certificate. 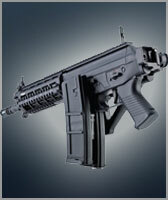 The student will supply the firearm, ammunition, eye and ear protection. An additional course is offered for the 5 hour Advanced Personal Protection Outside The Home. 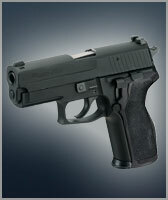 Ask your Best Handgun Training instructor for additional details.